It’s the best time of the month again! 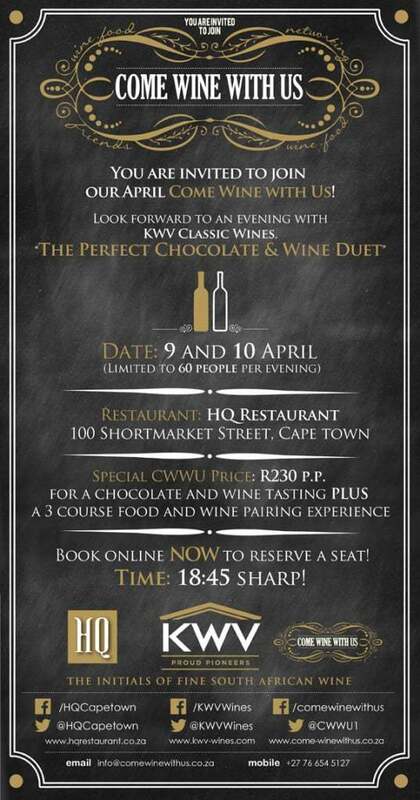 Come Wine With Us is hosting their April Food and Wine Pairing at HQ with wines from KWV. This month, in addition to the 3 course wine and food pairing, there’s a little something extra to look forward to in the form of a chocolate and wine pairing. You can book here for dinner on 9 or 10 April.